This exercise can help you reconnect with your calling. The term “calling” has a lot of energy around it in our culture because we see it as this big, special thing that only some of us have. But our calling is simply whatever calls to us: the places, people, things, opportunities, sounds, tastes, and images that give us a felt sense of wanting to be close to them. Our callings don’t have to make sense to anyone else. The most important thing is that we feel them in our body. One day, my calling was an intensely blue sky that I stumbled into on a hike. Looking at that color felt like taking big gulps of water. I had to have it. Did I know what I wanted to do for work in three months? No. But I didn’t need to. In that moment, all I needed was the intense blue of the expanse above me. If we can stay close to the things that make sense to us, they will lead us down the paths that we’re meant to walk. When you’re undergoing deep changes in how you see yourself and your place in the world, it’s hard to communicate in words. If your work no longer makes sense to you--if you feel disconnected to it--I encourage you to try the exercise below. 1) Find images, either printed or online, that move you in some way. All that matters is that they’re deeply resonant to you, like you want to be inside of them. For my clients, I recommend that they make a secret Pinterest board full of images that feel good to them. For our purposes here, you can just look for one image right now that gives you a bodily sense of peace, excitement, or resonance. One of my favorite sources of images is Unsplash. 2) Let yourself soak up the image. Imagine yourself inside of it. What would it smell like? What would the air feel like on your skin? What sounds are there? These are the only questions to answer at this time. 3) Consider what the image shows you about what calls to you at this time. What are you hungry for in that image? These things could be literal (e.g., natural beauty) or metaphorical (e.g., inner calm). 4) Ponder all of the ways you could give yourself what you desire in these images. Start very small, but don’t wait. Do what you need to do in order to feel the way you feel when engaging with this image. What might this image tell us about the person who chooses it? What are they hungry for? Words that come to mind for me are: wildness, purity, and mystery. If this were me, I would consider how to incorporate more of those three themes into my worklife. That could simply mean keeping this image up as a screen saver, or it could be things like listening to running water, spending time alone, or going for a crisp early morning walk. Metaphorically, it could suggest purifying things that I know aren’t working in my career, releasing control, and getting comfortable with the wildness that comes with change. How about this image? What could it tell us about the person who feels called to it? The components that I see are warmth, simplicity, aridity, and resilience. 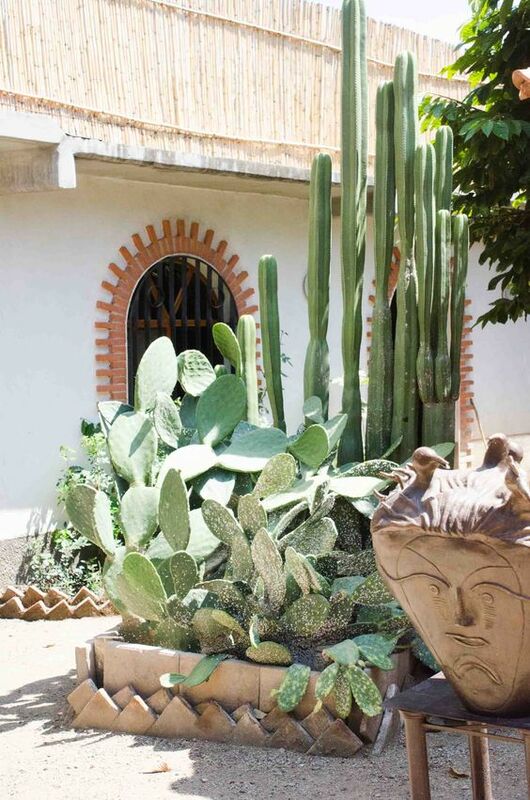 If this were my client, I would want to know more about how their work could feel like a courtyard in a hot climate. I’d wonder, what feels simple to them? What evokes warmth and how can they get more of that in their day? Metaphorically, I’d want to know where they use their precious resources, like emotional energy (water). I’d want to know what it would take for them to feel deeply at peace in their career. These images are meant to connect you with yourself and show you how to take aligned steps again. If images don’t do it for you, you can do a similar exercise with music that moves you, food that feels really engaging to your senses, or any experience that gets you to drop into a deeper presence. When we’re changing paths or when we’ve lost track of our calling, it doesn’t have to be a crisis. Our minds want to create one because it feels unsettling not to know what we’re doing and why, but there’s no actual emergency. What’s much more helpful is to connect with sensory stimuli that take us out of our worry mind and into what truly feels nourishing to us in any given moment. Connecting with the images, sounds, tastes, textures, and scents that feel absolutely right to us can be an immediate way to reconnect with our calling. Doing exercises like this have led me to create A Wild New Work, which is an in-depth coaching program that’s enrolling until October 23rd. You can learn more about how this process can help you track your calling at this link.